What do Paul Revere’s ride, Hush Puppies shoes, Sesame Street and crime rates in New York City have in common? 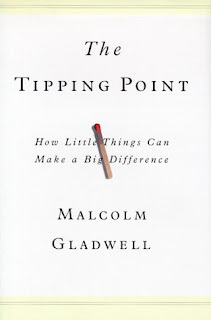 They all are examples of The Tipping Point, and you can find out why in this month’s book, The Tipping Point, by Malcolm Gladwell. This is one of those books that will make you think and start to notice more about the world around you. 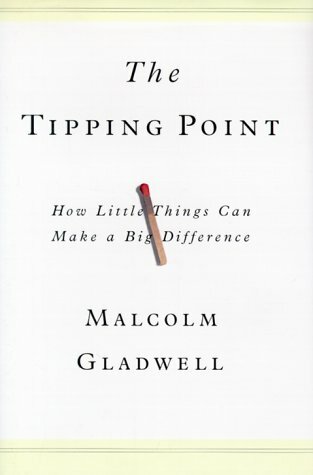 You just might find yourself applying some of the principles of The Tipping Point to the popularity of Silly Bandz and Beiber Fever. Read the book and see what you think! And then join us to talk about it at the Borders at Hamilton Town Center on March 17 at 7 p.m.
Hi! My name is Janet.